The eurozone has a new member: Lithuania. As of Jan. 1, Lithuanians can swap their old currency -- litas -- in exchange for euros. It is the 19th country to join the currency union. Bank branches are increasing staff levels across the country to accommodate for an influx of people who will be coming in to change their cash. The small former Soviet nation has been preparing for the currency switch since European Union finance ministers formally announced in July that the country could adopt the euro. An official Lithuanian website included a live countdown showing when the currency switch would be official. A map on the site directs people to banks and post offices where they conduct the cash swaps. The exchange rate is set at one euro for 3.45 litas. The Lithuanian central bank forecasts that adopting the euro will be positive for the nation's economy. It's expecting a big jump in trade and a rise in employment levels at the outset. 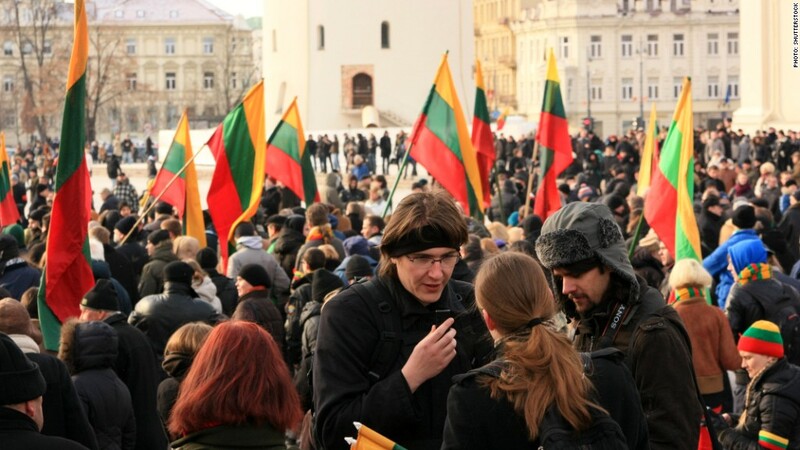 Lithuania has a population of 3 million people and is expected to be among the fastest growing economies in the eurozone. In 2014, the economy grew by about 2.7%, according to official estimates. The majority of Lithuanians view the euro switch as positive, with many saying closer integration with Europe will be beneficial. However, others worry that the currency swap will lead companies to jack up prices on consumer goods. Officials have warned firms to keep prices level. Lithuania gained its independence from the Soviet Union in the early 1990s and joined the European Union and NATO in 2004. Its Baltic neighbor, Latvia, joined the eurozone at the beginning of 2014. January marks the 15th anniversary of the euro currency union, which is used by nearly 340 million Europeans.